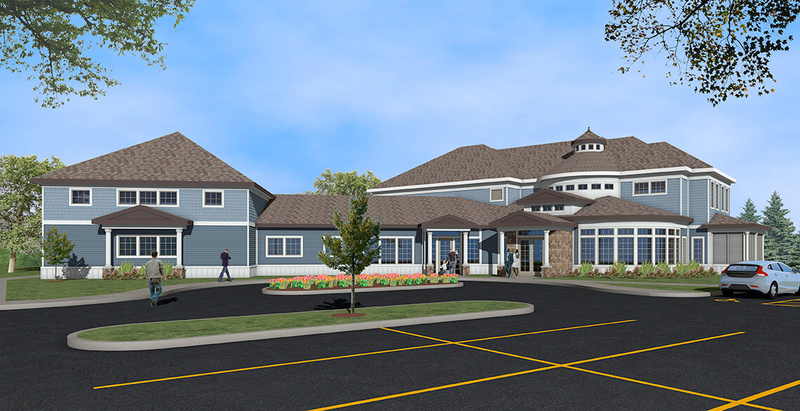 Grinsfelder Associates Architects, Inc. is pleased to be working with Schenkel Construction on the design and construction of a new 12,000 square foot counseling and therapy facility for Hand in Hand Comprehensive Therapy Specialists. Hand in Hand provides individual, family, and couple counseling, as well as pediatric occupational, physical, and speech therapy services. The new facility will include eight counseling rooms, each with its own private screened-in porch, nine pediatric therapy rooms, and a pediatric therapy gymnasium. The building, which will be located adjacent to the Saint Joseph River, will feature a design to complement the residential structures nearby. Schenkel Construction plans to begin construction in the fall of 2018 and Hand in Hand will open their new location in mid-2019.